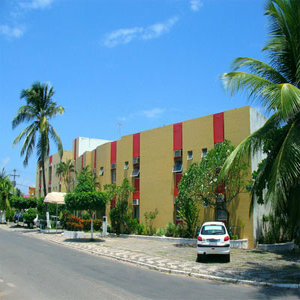 Hotel ItapoÃ£ Praia offers affordable rooms in Bahia, just a short walk from PiatÃ£ Beach, cafes and shops. Free parking and free Wi-Fi are available. The rooms at the Hotel Itapoa have modern facilities, including cable TV, air conditioning and minibar. Guests can savour fresh fruit, cakes and rolls for breakfast at the hotel?s restaurant, which overlooks the outdoor swimming pool. The hotel also has a games room, where guests can relax with a drink. The Deputado LuÃ­s Eduardo MagalhÃ£es International Airport is just 7km away.